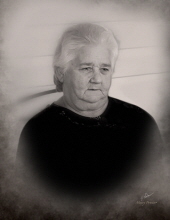 Funeral services for Viola Mitchell Hillman will be held at 2:00 p.m. on Friday, February 8, 2019, at Pine Grove Baptist Church in Mora, LA. Burial will follow in the church cemetery under the direction of Jeane’s Funeral Service. Visitation times for the family and friends of Mrs. Hillman will be held on Thursday, February 9th at Simpson Assembly of God Church from 4:00 p.m. to 11:00 p.m. and again at the church on Friday, February 8th from 8:00 a.m. to 11:00 a.m. Then a visitation time from 12:00 p.m. to 2:00 p.m. will be held at the Pine Grove Baptist Church. Mrs. Hillman was born on February 25, 1943, and passed away on February 5, 2019, at the age of 75. She lived in Vernon Parish all of her life and was a member of Pine Grove Baptist Church. Mrs. Hillman was a homemaker most of her life and enjoyed drinking coffee and watching T.V. Her family jokingly referred to her as “Mean Old MawMaw.” Most of all, she loved spending time with her family. Mrs. Hillman was preceded in death by her husband, Delton Hillman Sr.; mother, Leola Mitchell; brothers, Robert Mitchell and Jack Mitchell; and sisters, Melba Bowers, Linda Mitchell, and Jackie McInnis. Pallbearers will be DeWayne “D.D.” Hillman, Randall Hillman, Dillon Hillman, Heath Williams, Pete McInnis, Aaron Wilson, Jason Hillman, and Tom April. Honorary pallbearer will be Gabereil “Blue” Williams. Words of comfort encouragement for the family of Mrs. Hillman may be left at www.jeanesfs.com. To send flowers or a remembrance gift to the family of Viola Mitchell Hillman, please visit our Tribute Store. "Email Address" would like to share the life celebration of Viola Mitchell Hillman. Click on the "link" to go to share a favorite memory or leave a condolence message for the family.